I’m really going through quite a mood here. 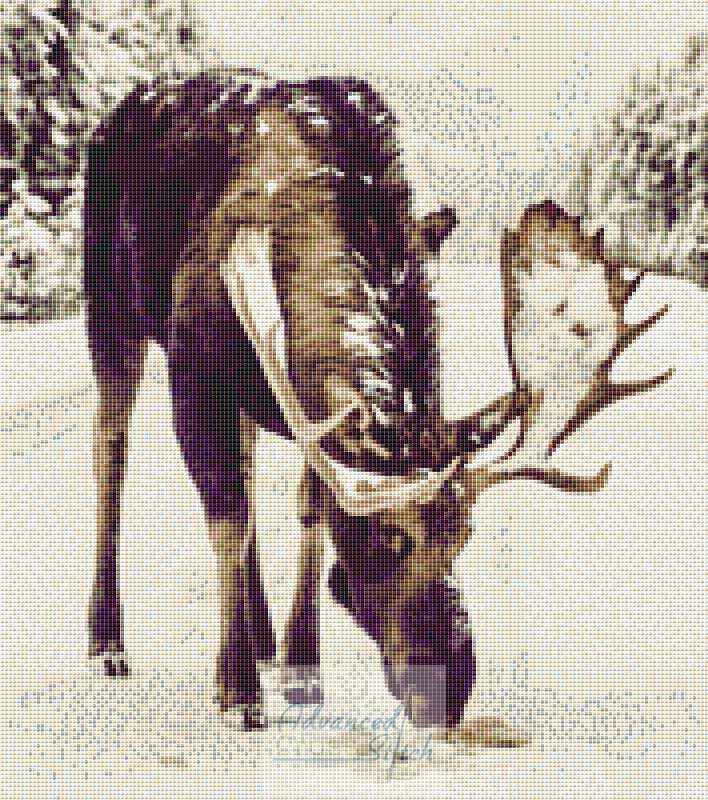 LOL… So I took an image of a moose and converted it to water color image and then to an oil painting and then back to water color before changing to a cross stitch chart. This moose is a “real” moose, but it’s been changed so much that it should be considered abstract. The chart is 177×200 stitches and contains 50 thread colors. The original artwork can be found here.